Based on Wireless N technology, the DWA-127 achieves wireless speeds of up to 150 Mbps and extended coverage with virtually no dead spots. It is the ideal upgrade for 802.11g notebooks/PC. 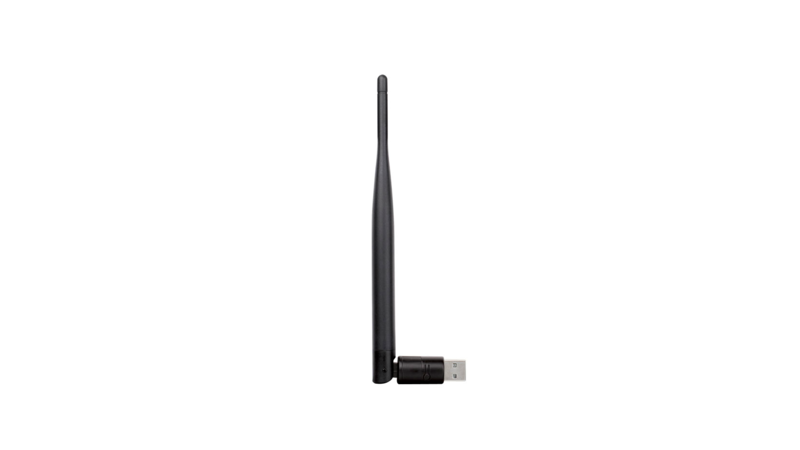 The DWA-127 Wireless N 150 High-Gain USB Adapter has a high-gain antenna that boosts the signal reception to allow you to enjoy wireless coverage over a wider distance than with a regular wireless adapter. The antenna is also rotatable so you can eliminate dead spots by fine tuning the antenna positioning to get the best available wireless connectivity. To protect your data and privacy, the Wireless N 150 High-Gain USB Adapter supports WEP, WPA, and WPA2 encryption for connecting to a secure wireless network, keeping your network traffic secure. The Wi-Fi Protected Setup (WPS) feature enables devices to easily establish a secure connection to an Access Point or wireless router, eliminating the need for complex encryption codes. The Wireless N 150 High-Gain USB Adapter provides a high-speed connection to other Wireless N 150 or Wireless N devices, and is backward compatible with 802.11g devices ensuring interoperability with a wide range of wireless routers and existing networks.